Food Network (legally known as Television Food Network) is an American basic cable and satellite television channel which airs both specials and regular episodic programs about food and cooking. Food Network was founded on April 19, 1993 as TV Food Network and was launched on November 23 of that year; its legal name remains Television Food Network, G.P. Within a few years, the network had shortened its on-air brand name, removing the "TV" from its name. The network was initially launched as a preview in September 1993 with two initial shows featuring David Rosengarten, Donna Hanover, and Robin Leach. In fact, in 1997, it was the second fastest growing cable network. Food Network was first launched outside of North America in the United Kingdom on November 9, 2009, and in Asia on July 5, 2010 (on StarHub TV channel 433 and in HD on channel 468). Since the UK launch on November 9, 2009 on Sky, the channel has been added to the Freesat, Freeview and Virgin Media platforms. Some countries have their own Food Network. Examples include: Food Network Canada, Food Network Asia, and Food Network Europe. In the second half of 2014, Food Network Brazil began broadcasts programming with fully dubbed in Portuguese and optional subtitles. On February 1, 2015, Food Network launched on Australian IPTV service Fetch TV. Food Network South America began broadcasting in March, 2015 with full Spanish dubbed programs. As of February 2015, Food Network is available to approximately 96,931,000 pay television households (83.3% of households with television) in the United States. The 1080i high definition simulcast feed of Food Network launched on March 31, 2008. 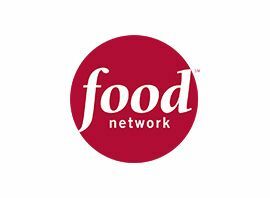 Food Network programming is divided into a daytime block known as "Food Network in the Kitchen" and a primetime lineup branded as "Food Network Nighttime". Generally, "In the Kitchen" is dedicated to instructional cooking programs, while "Nighttime" features food-related entertainment programs, such as cooking competitions, food-related travel shows, and reality shows. Promos identify "Food Network Nighttime" programming but not "In the Kitchen" daytime programming. Many of the channel´s personalities routinely pull double-duty (or more) ? hosting both daytime and nighttime programming ? and the channel regularly offers specials which typically either follow its personalities on working vacations, or bring together a number of personalities for a themed cooking event. Food Network airs infomercials on Sundays from 4:00 to 9:30 a.m. ET, Monday through Thursdays from 5:00 to 9:30 a.m. ET, and on Fridays and Saturdays from 4:00 to 7:00 a.m. ET. In 2002, Food Network made an appeal to the home cook by adding Paula´s Home Cooking, hosted by Paula Deen. Home Cooking focused mostly on Southern cuisine and comfort food. The show took overly complicated recipes and classic dishes and broke them down for the home cook. The show did increasingly well, and Deen revamped the show in a series called Paula´s Best Dishes. In this series, friends and family members would join her in the kitchen and put a twist on classics and introduce new recipes. In June 2013, Food Network announced that they were not renewing Deen´s contract due to publicity about her racial remarks revealed in a lawsuit brought on by a former worker. Beginning in 2005, an annual reality contest, The Next Food Network Star, brought viewers to New York City to compete for their own show on the channel. Previous winners include Dan Smith and Steve McDonagh (Party Line with The Hearty Boys), Guy Fieri (Guy´s Big Bite, Diners, Drive-Ins and Dives, Guy Off the Hook, Ultimate Recipe Showdown, Guy´s Big Night, Guy´s Family Feast, Guy´s Grocery Games), Amy Finley (The Gourmet Next Door), Aaron McCargo, Jr. (Big Daddy´s House), Melissa d´Arabian (Ten Dollar Dinners), and Aarti Sequeira (Aarti Party). For the 2010 season, production of The Next Food Network Star was relocated to Los Angeles. Currently, the channel´s biggest cross-over star is Rachael Ray, who has parlayed her cable following (primarily through the series 30 Minute Meals and $40 a Day) into a syndicated talk show and merchandise lines of cookware and kitchen ingredients.